Greece will not accept “arbitrary” interpretations of the Prespes accord by the government of the Former Yugoslav Republic of Macedonia (FYROM), President Prokopis Pavlopoulos said on Tuesday, referring to the deal reached between Athens and Skopje to resolve the decades-old dispute over the country’s name. His statement came after FYROM’s Prime Minister Zoran Zaev said on Monday that “Macedonians” in Greece will have the right to be taught the “Macedonian” language. “We are not prepared, with a view to finalizing the Prespes Agreement, and prior to its ratification, to accept arbitrary interpretations, because nothing has been completed yet,” he said during a meeting with visiting Slovenian President Borut Pahor at the Presidential Mansion. 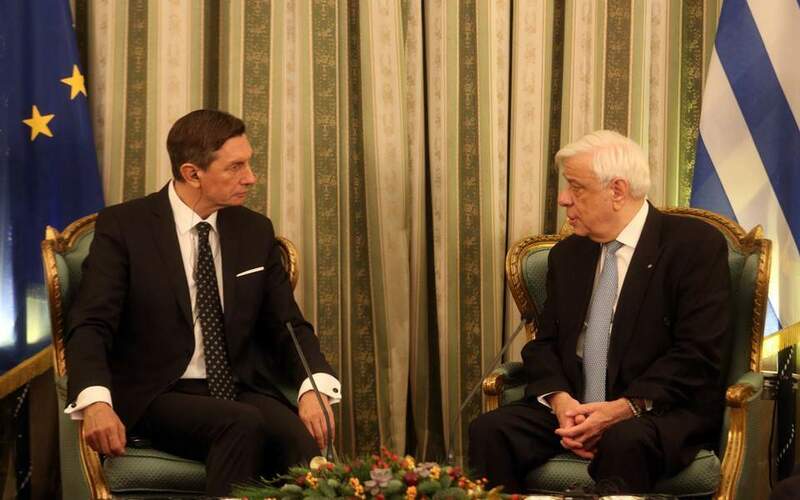 Pavlopoulos added that only when the ratification process in FYROM has been completed and the constitutional revision has approved all the guarantees foreseen in the bilateral deal will the country be invited to join NATO and start accession talks with the EU. “We will not make concessions on such issue,” he said.